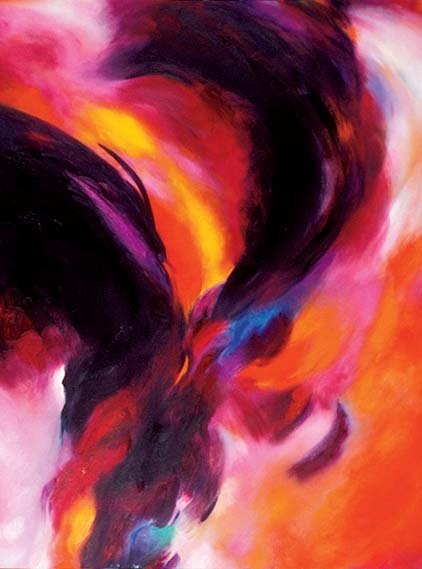 …including the atmospheric Untitled (1979), by Jeanne Leger. Just 19 miles from hot and congested downtown Boston lies the bucolic town of Lincoln. Even before postwar suburbia arose, Lincoln’s leaders and residents eschewed sprawl. As a result, more than 38 percent of the community is protected land. Eighty public trails, some of which begin at the MBTA commuter-rail station, skirt Walden Pond and wind through farmland, woods, and meadows. 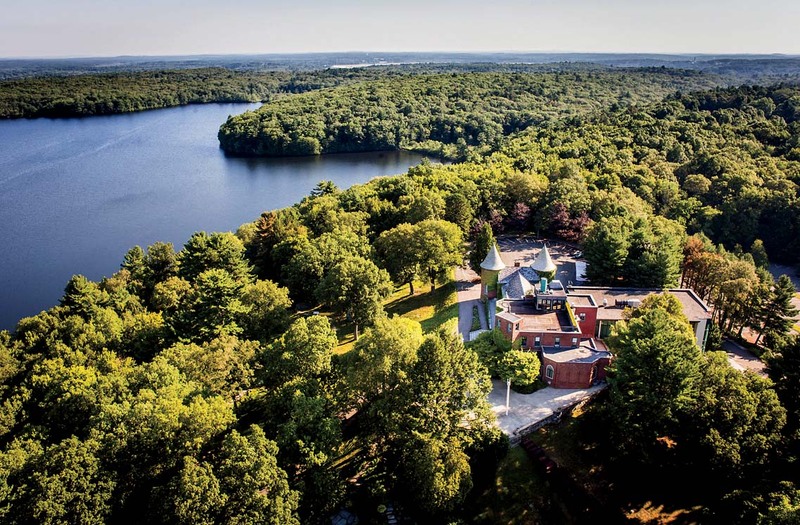 The star cultural destination is the 30-acre deCordova Sculpture Park and Museum, dotted with 49 works. Jonathan Gitelson’s existential billboard asks: Are You Here? (2016).Visitors walk right into Dan Graham’s Crazy Spheroid—Two Entrances (2009), a half-circle of two-way mirrored glass, and they play The Musical Fence (1980), a vertical aluminum xylophone by Paul Matisse ’54. Easy walking paths lead to a café, picnic spots, and shady lawns; the museum’s stone terrace overlooks Flints Pond. On exhibit inside, through September 17, is “Expanding Abstraction: New England Women Painters, 1950 to Now,” celebrating contributions by Natalie Alper, Reese Inman ’92, Katherine Porter, and Barbara Takenaga, among others. 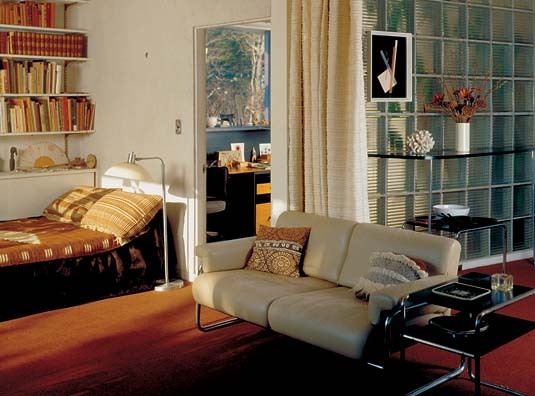 Not far away is a modernist enclave anchored by the Gropius House, the former family home of Bauhaus architect and influential Harvard Graduate School of Design professor Walter Gropius. 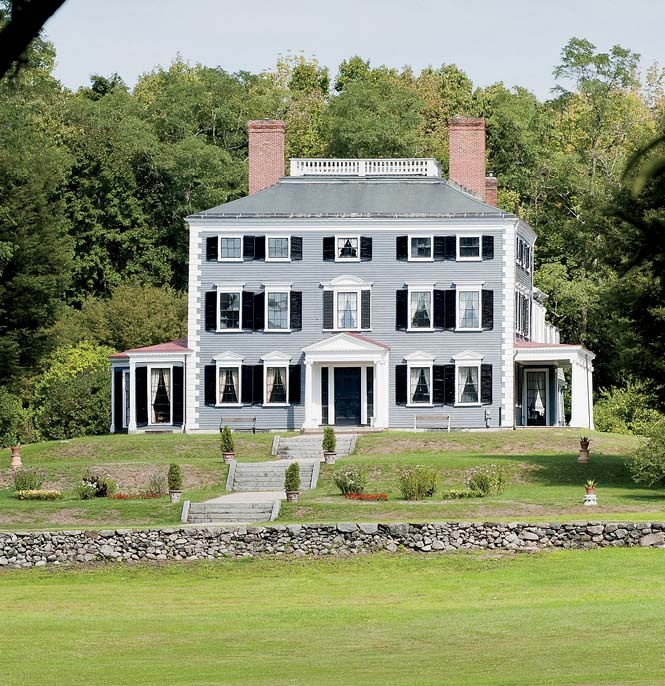 It’s now owned by Historic New England, and open for tours, as is the Codman Estate nearer to the town center.Beautiful gardens surround a Georgian mansion built by judge and politician Chambers Russell, A.B. 1731, A.M. ’66 (who left it to a Codman relative). Russell also was instrumental in the founding of Lincoln in 1754; it’s named for his ancestral home in Lincolnshire, England—not for the American president. A short trail walk leads to the town-owned Codman Community Farms. Visit the barnyard, take classes, volunteer to work, or buy eggs, meats, produce, and flowers. 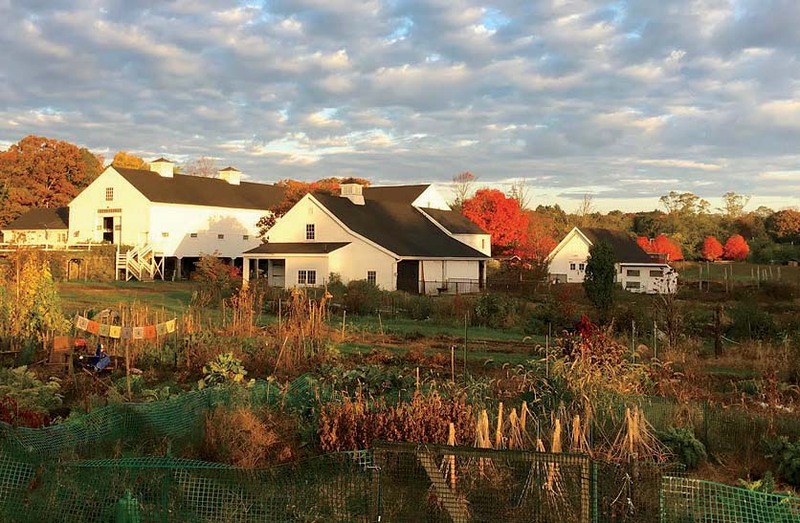 Nearby, on a larger scale, Mass Audubon’s Drumlin Farm Wildlife Sanctuary runs an animal farm and Community Supported Agriculture (CSA) program, along with year-round events and workshops. For food and drinks, head to Lincoln’s only commercial cluster, next to the train station. Dip into Donelan’s Market or the Trail’s End Café for picnic fare, or sit down for a meal at Lincoln Kitchen.